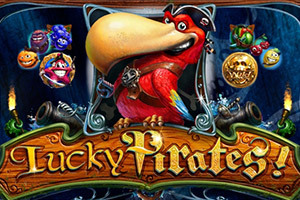 Lucky Pirates, is a 5-reel, 3 rows, 9-line video slot. It has a pirate and treasure-hunt theme. 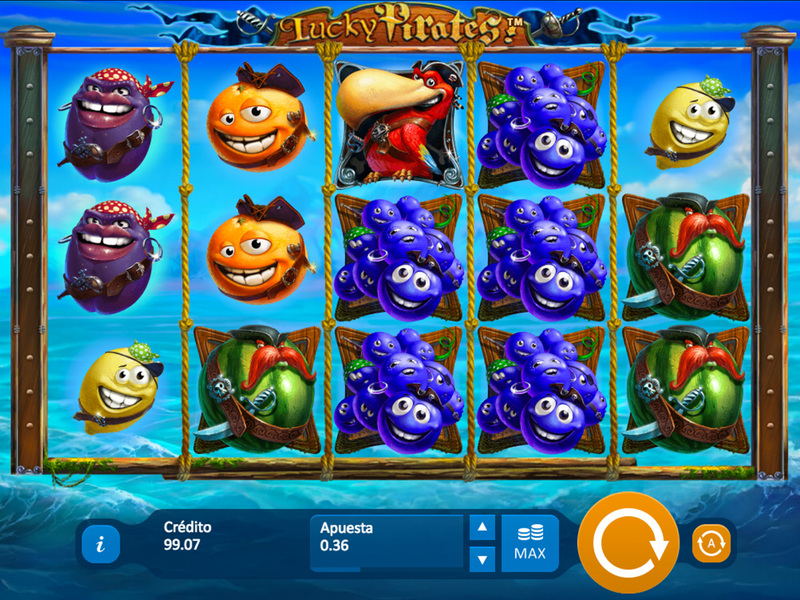 Lucky Pirates has extra features – a Scatter bonus and Gold Coin as a wild feature. For the pirate theme, the game uses reel symbols such as a Pirate parrot (a highest winning combination), a Watermelon pirate and a Grape pirate, a Plum pirate and an Orange pirate, a Lemon pirate and a Cherry pirate. The Gold Coin as Wild symbol substitutes all symbols except the Scatter symbols. Scatter wins pay total bet multiplied by the multiplier. Scatter wins are paid independently of bet lines selected. The whole game field with Parrot symbols brings 5000 bets!